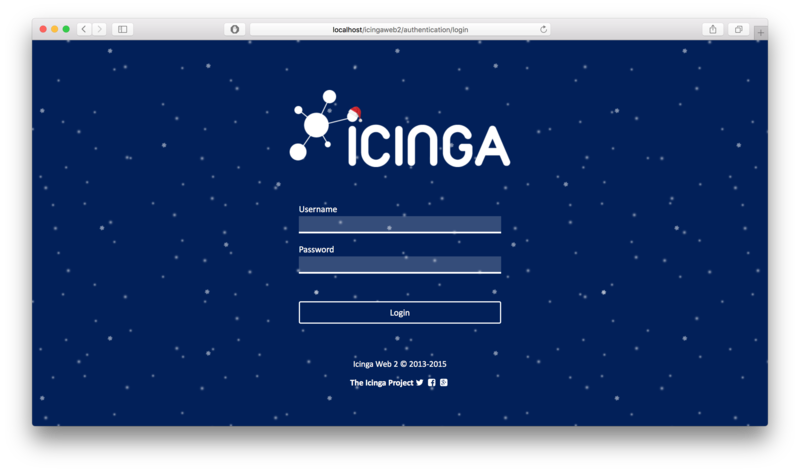 Because Santa would not be happy without a new Icinga Web 2 release for Christmas, we’re happy to announce the release of Icinga Web 2 version 2.1.1. This release is a primary a bugfix release, but also introduces a very cool new thing: Theming! Curious? Be sure to checkout our winter theme in your preferences configuration. Imagine your critical and warning messages are presented in such a lovely winter wonderland. The only time in the year red is really looking great. Find v2.1.1 on GitHub or use the packages for your favorite platform. Fresh from the Christmas staff party for a lot of Icinga team members, comes a rather different Christmas song. We hope you all enjoy it, and you can start relaxing for the upcoming holidays. Kudos to Thomas Gelf for the lyrics! To the valley for a show, coding is a joy. All the cores are jumping in, go threading, be not shy. Oh! What fun it is to fork on all my cores at once. Another fancy patch, came out and made me cry. The problems there I had, I’d say they did evolve. Being at a customer, processors burned like hell. They coded day and night, for fun and for their pride. But that’s just half the fun, so let instructions flow! Hardware has been built for use, so let the spindles churn. 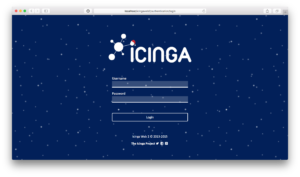 Icinga Shop – We are ready for Christmas! Christmas is coming closer and the demand for really cool presents is growing rapidly. But we are here for you if you need us and therefore we are happy to launch our brand new Icinga Shop. For a couple of years people have been asking us for various Icinga swag and the only answer we had was: “We are thinking about that!” It took some time but now we launch with a couple of products like mugs, hoodies, shirts and of course stickers. The mugs are Made in Germany and the high quality hoodies and polos are embroidered on demand. The result is amazing and we are happy to offer you gluten free, organic and of course local stuff. Right know we are not able to deliver to every destination but we are working on adding new countries on a monthly base. You need a mug for your girlfriend, a hoodie for your father in law or a sticker for your grandmother? Here we are! We are sure that you want to order right now. Let’s go and add some stuff to your cart and please don’t forget – Eric is not included. All we want for Christmas … is You! We don’t want to exaggerate but 2014 really was one of our greatest years for the Icinga project now coming to an end. It is not really hard to tell. In addition to amazing people contributing to Icinga we definitely reached the next level of the project. Last but not least we wish you all a Merry Christmas and Happy New Year! With our recent Icinga 2 v0.0.6 release, we managed to tick off one Christmas wish from last year – recurring downtimes, and just in the nick of time. While the momentum is strong, we thought we’d ask… What would you like most of all for Icinga 2 in 2014?